Visitors get Batty at Wine, Cheese & Bats! 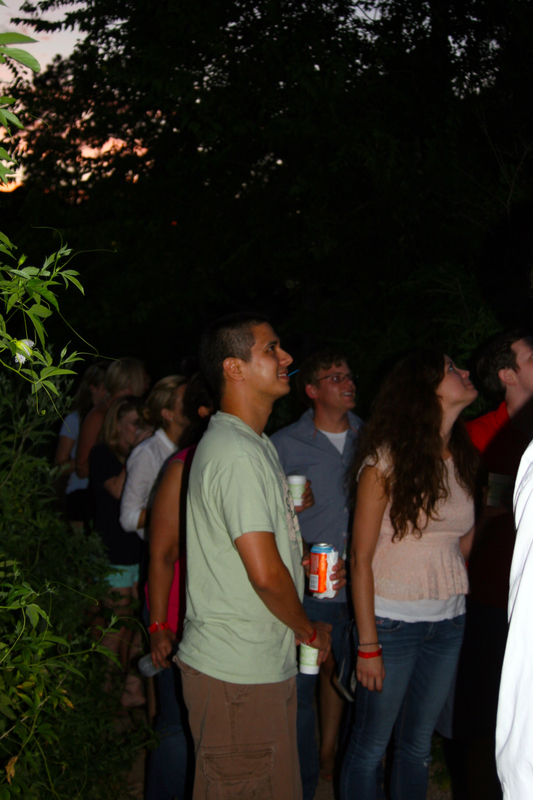 Visitors enjoying the night sky at Wine, Cheese & Bats. 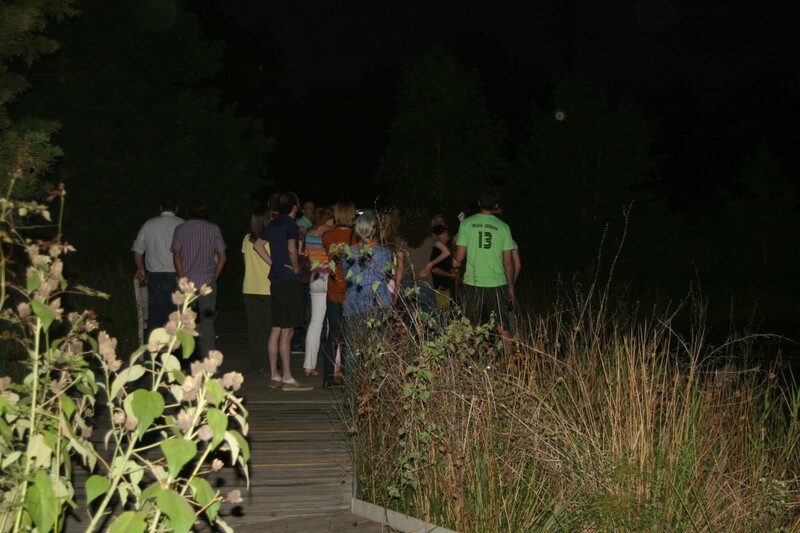 Attendees to Wine, Cheese & Bats learning on the Arboretum trails after dark. In addition to a whole new appreciation for bats, attendees to Wine, Cheese & Bats discovered that learning is still cool. With wine in hand we loaded our plates with a variety of wonderful cheese, fruits, crackers, cookies and snacks, before entering the classroom. Once seated we were provided a brief and very interesting presentation by Dr. Cullen Geiselman about all the different bat species we have here in Houston. Cullen is a wonderful speaker, the presentation was very informative and yet refreshingly humorous at the same time. We learned that bats are a vital creature here in Texas, and around the globe. They are voracious mosquito eaters and they devour many other insects that threaten the vitality of our crop fields. We unknowingly require their services for pollination and for seed dispersal throughout the region. Fun fact: bats can eat up to 1,000 mosquitoes and other obnoxious insects in just one hour! Second fun fact: one species of bat we have here in Houston, the spotted bat, is only the size of your thumb. Interestingly, bats are not too dissimilar from us actually. Despite the “winged rats” name-calling that bats are often subject to, bats are in fact more closely related to us than they are to rodents. And they are pretty cute too. Cullen showed us that their little faces look a lot like that of a small dog, or when you look at them from underneath when their wings are spread they resemble a man wearing capri pants – ok you had to be there. After Dr. Cullen’s presentation we split into two groups and hit the trails in search of our friendly bats. Once we reached the pond after a 20 minute hike, we were able to easily spot the bats fluttering over our heads and plucking the mosquitoes, who no doubt wanted to bite us, out of the air. 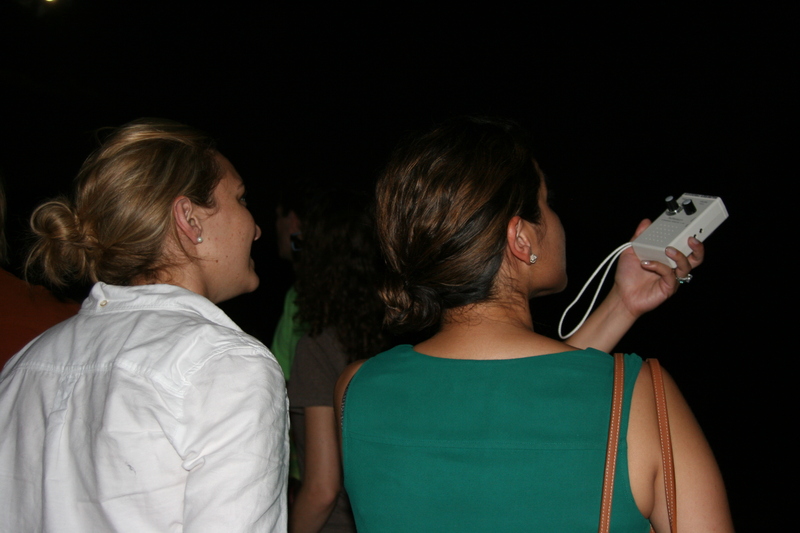 We used an ultra-sonic detector to locate the bats. Guests passed around the detector and listened to its unique clicking sound as it filtered the high frequency sounds of the bats overhead. Third fun fact: a new device is being created for smart phones and tablets that will have the ability to “hear” the high frequency bat calls and then tell you which bats are flying above you! From the device’s app you will be able to lean all sorts of bat facts about your local species. Howl at the Moon – an adults only Halloween party with a three course meal and wine pairings. 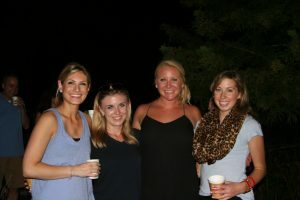 Greminids Meteor Shower Star Party – a meteor shower party complete high powered telescopes, wine, snacks, and members of the Astronomical Society. Adult and Family Owl Prowl – Come walk the trails and learn about owls with some real live species brought by Keven Gaines of Wildlife Revealed. It was so much fun!! Can’t wait until Howl at The Moon!